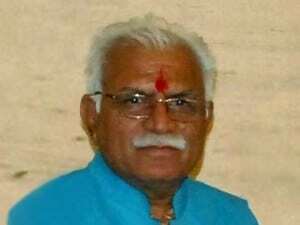 Attacking the congress regime for not opening up new schools and colleges in Haryana, Chief Minister Manohar Lal Khattar has informed that now mapping was being done to establish new colleges as per the need of the region. He said, “Eleven new colleges were opened in a single assembly constituency while, in the other constituency, not even a single college was opened in last 15 years.” He announced to open a new National Cadet Corps (NCC) academy in Karnal district. He also emphasised on the upgrading the Sainik School of the state to Sainik college so as to provide opportunities to the youth to get into defence services. Present on the occasion of 55th foundation day celebrations of Sainik School, CM said that preference will be given to backward, poor and downtrodden. He further added that the jobs will be given on merit basis to the eligible candidates. For this concrete efforts were to be made to improve the quality of education to make the youth employable.